Full room kit for acoustic treatment. The Primacoustic London 16, Beige is an acoustic room kit designed for studio spaces and professional applications. The Primacoustic London 16 is comprised of 24 Scatter Blocks, 12 Control Columns and 6 Broadband panels, designed to treat room up to 200 square feet in size. From building a recording studio a home theatre, the London 16 can do it all. The Broadway Panels are perfect for treating problems such as reflections, flutter echo and standing waves, providing greater absorption than conventional panels. The Scatter Blocks utilise soft diffusion technology to ensure natural harmonics. The Broadband panels utilise glass wool for optimal absorption of larger walls. 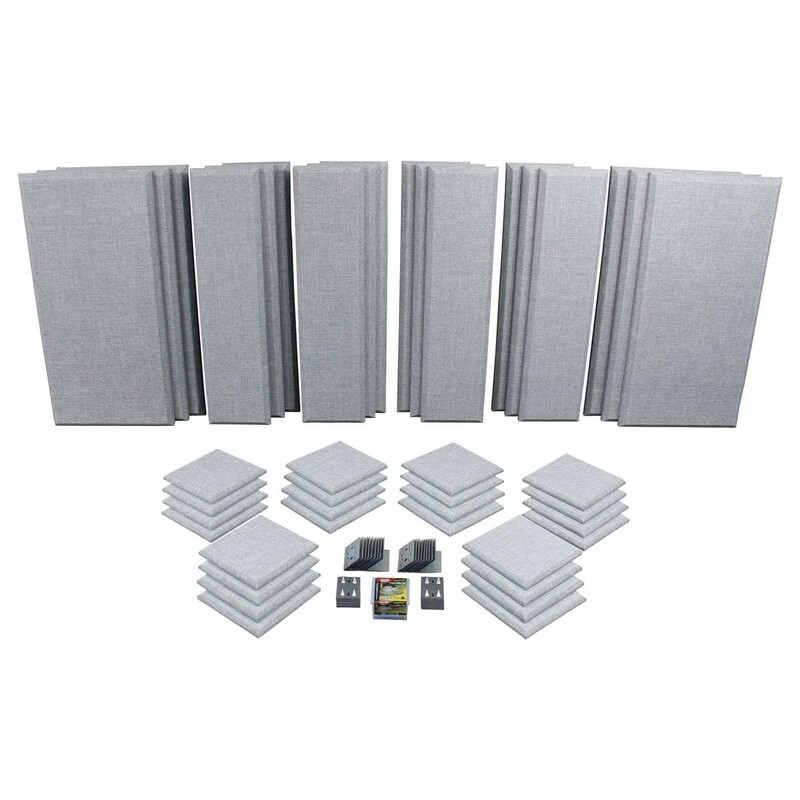 The Primacoustic London 16 is an acoustic treatment bundle featuring everything you need to treat a room that measures up to 200 square feet. The London Room Kit is the perfect solution for provide natural, high-end absorption for any space. From creating your own studio to building a home theatre, the London Room Kit is ideal for a range of applications. It is ideal f for tackling acoustic problems affecting any room. The kit can help to reduce and eliminates unwanted reflection, flutter echo and standing waves. The Room Kit comes complete with mounting hardware and easy to use instruction for installation. The Control Column is a sleek and streamlined solution for treating acoustic spaces. The slimline design makes it highly versatile, fitting easily within most spaces. provides balanced absorption throughout the full frequency range. The column is ideal for studio, classrooms, restaurants, gyms and for industrial noise control. Each panel is encapsulated in micro mesh, providing optimal durability and safe handling. The Control Column features a beveled edge. The Room Kit features a total of eight Control Columns complete with mounting screws and drywall anchors. From studios and schools to gyms, bars and even industrial spaces; the Broadband panel is suitable for all. Adhering to strict Class-A/1 fire safety, ASTM-E84 and Can-UL S102 requirements makes the Broadband panel safe for use in commercial and institutional installations. This version of the Broadband panel features a bevel edge design. The panel is covered in acoustically transparent fabric. The panel can be installed in various configurations from the roof to wall treatment. It can also be customised by recovering the panel with any breathable fabric, allowing you to change the colour and style of your panel. This high-end acoustic treatment panel is constructed from high-density glass wool with resin hardened edges. The layered design provides balanced absorption, ranging down to the low-end. The 6lb glass wool construction is six time denser than conventional panels, providing improved absorption and overall acoustic performance. Providing high-end absorption across the full frequency spectrum, the Control Column panel is effective at treating virtually any space. The panels is encapsulated with micromesh, with resin-hardened edges for safe handling during installation.